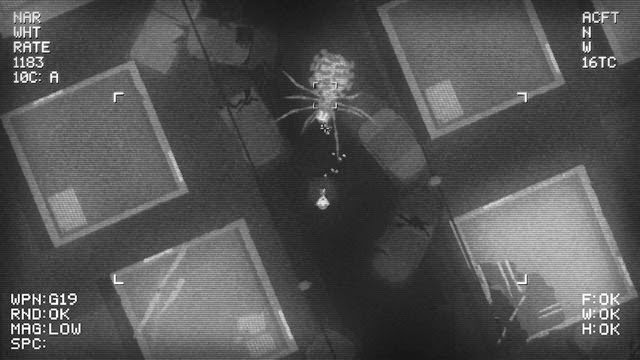 Developer Chris “c3sk” Eskins presents Noct, a top-down multiplayer survival horror game with a gritty greyscale aesthetic mimicking an aerial thermal vision camera. For reasons unknown, Earth has been plunged into darkness, and terrible creatures known as the Nocturnal now roam the land. Players must blast away these monstrosities with weapons and ammo scavenged in the environment, as well as survive life in the wasteland by ransacking vacant buildings to seek out food and other useful items. While the game is played from a top-down perspective, players are only able to see what is directly in the line of sight for their character, meaning that a lurking terror might be lying in wait around the next corner. The game may be played online with other players or as a solo campaign. Noct was intended to be released now, but the developer decided it needed a bit more time in the hopper following its closed beta. The game is coming to PC, Mac, and Linux in January, but it is currently available via Steam Early Access.